The Group had acquired a property located at 8 Tuas View Circuit, Singapore 637777 with approximately land area of 12,000 square metres for its recycling business. 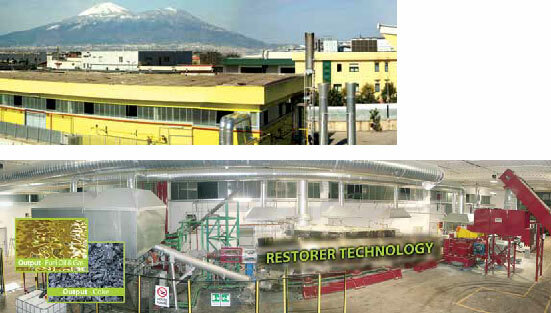 The Italian subsidiary of the Group Enviro-Restorer SRL has completed the construction of the Group's Plastic to Fuel plant in Sarno (Salerno - Napoli, Italy) and has received the requisite trial run approval for the Plant at end of 2012. 55% of the free detachable warrants was exercised by shareholders and the Company has received aggregate proceeds of approximately of S$12.0 million from the exercise of Warrants by Shareholders as at 28 December 2012, being the expiry date of the Warrants. The Group had acquired a property located at 99 Tuas Bay Drive, Singapore 637426 with approximately land area of 17,186 square metres for its recycling business. The Group had acquired a property located at 22 Sungei Kadut Street 4, Singapore 729049 with approximately land area of 11,976.50 square metres for its construction and environmental restoration business. The Group's revenue increased significantly by S$31.7 million or 68% from S$46.5 million in FY 2009 to S$78.2 million in FY 2010.This was primarily contributed by the increase in the sales of copper refining products, platinum group of metals ("PGM") such as gold and platinum recovered by our PGM refinery plant and revenues generated from construction businesses. Profit after tax for our Group surged in FY 2010. The Group registered a profit after tax of S$1.2 million in FY 2010 as compared to a loss after tax of S$25.5 million in FY 2009. The Group's other income increased by S$3.6 million in FY 2010 as compared to FY 2009 which contributed to our net profit after tax. The increase was mainly due to the sale of equipments and gain on liquidation of jointly controlled entity during FY 2010. The Group was able to maintain constant for most of the cost components despite the growth in sales for the year. Other expenses of the Group decreased significantly by S$26.3 million in FY 2010 as compared to FY 2009 which has further improved the profit after tax for the financial year under review. Other expenses of FY 2009 were mainly contributed by impairment loss of goodwill, hedging loss from refined copper inventory and trade receivables. There was no such impairment and losses in FY 2010. Enviro-Hub re-brands towards Enviroment Restoration through technology and solutions. 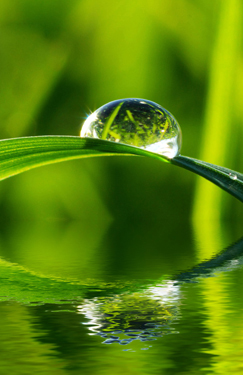 Enviro-Hub is a globally trusted brand; relied upon for its technology pursuits and environment restoration solutions. Our group's existence is in itself a symbol associated with a world that is as vibrant for business as it is sustainable for life. On 25 February 2008, the group, recorded a 986% increase in net profit to SS$20.3 million for the twelve months ended 31 December (FY2007). Revenue increased 74% to S$159.9 million on the back of strong growth across all business segments. On 17 December 2007, the Board of Directors (the "Board") of Enviro-Hub Holdings Ltd (the "Company") is pleased to announce the incorporation of a wholly-owned subsidiary "Enviro-Power Pte Ltd" ("EPPL"). EPPL will own and operate the Company's pilot plant for the conversion of waste plastics to fuel ("PTF project") in Singapore. On 17 December 2007, the Group, one of Asia's leading electronic waste solutions providers, has announced the successful completion of its Plastic-to-Fuel pilot plant project ("PTF") in Singapore. On 12 November 2007, the Group, one of Asia's leading electronic waste solutions providers, recorded a 227% increase in net profit to S$17.0 million for the nine months ended 30 September 2007 (9M2007). Strong contributions from the trading of electronic waste ("e-waste"), metals, copper refining and the e-waste recycling businesses saw revenue increased 89% to S$122.8 million. On 30 April 2007, the Group announced that 137,630,373 new ordinary shares in the capital of the Company, which have been allotted and issued pursuant to the Acquisition are listed and quoted on the Official List of the Singapore Exchange Securities Trading Limited. On 19 April 2007, the Group announced that the sale of the E-HUB Property and the Cimelia Property (the "Properties") to HSBC Institutional Trust Services (Singapore) Limited, as trustee of MacarthurCook Industrial REIT, and the leaseback of the respective Properties, have been completed. The final consideration amounts for the E-HUB Property and the Cimelia Property amounted to S$39,406,642 and S$20,800,000 respectively. On March 23, 2007, the Group announced that its wholly-owned subsidiary, e-HUB Metals Pte Ltd, has obtained the requisite approvals from the relevant authorities for the Group's copper plant (the "Plant"). The approvals enable the Plant which is the first in Singapore and one of the few in the region to commence commercial production and sale of copper cathodes immediately. On 22 June 2006, the Group announced that its wholly-owned subsidiary, e-HUB Metals Pte Ltd, is investing S$15 million to set up a Copper Smelting & Refinery Plant in Singapore for the smelting and refining of copper recovered from electronic wastes. On 6 November 2006, the Group announced that it has entered into a memorandum of understanding (the "MOU") to acquire the remaining 36.3% shareholdings in Cimelia Resource Recovery Pte. Ltd. ("Cimelia") not held by the Company. On 6 December 2006 the Company announced that it had entered into a S & P Agreement with Ms Seow Siew Lan ("Seow"), Mr Mohamed Gani Mohamed Ansari, Mr Venkatesha Murthy, Mr Ong Chee Kang (collectively the "Vendors") for the acquisition of the remaining 36.3% shareholdings, comprising 2,743,765 ordinary shares in Cimelia Resource Recovery Pte Ltd from the Vendors. The group changed its name to Enviro-Hub Holdings Ltd on 16 August 2005 to better reflect its new business focus. New business angle : as an INTEGRATED ENVIRONMENTAL SERVICES HUB, providing TOTAL environmental management solutions and services to the Global Electronics, Electrical and Equipment (EEE) industries. Restructured wholly-owned subsidiary Grand Hardware & Machinery to e-HUB Metals Pte Ltd on 30 September 2005. Commenced recovery & processing of ferrous and non ferrous metals. a plot of land area approx. 850,000 sq. ft with custom-built factory premises. Listed on the Mainboard of the SGX-ST as Leong Hin Holdings Limited on 28 August.